If you’ve been following a map that was supposed to get you to a place where you’d miraculously have it all together all the time, Melissa Camara Wilkins wants you to know right now: that is a road to nowhere, and it’s time to step off that path. From award-winning blogger Melissa Camara Wilkins, come and find the permission you need to live with confidence and clarity, right where you are. Melissa exposes the truth known to anyone who has ever felt the pressure to measure up, get it together, and be something they’re not: when you’re chasing after perfection, you end up hiding behind your own armor, pretending at your own life, and keeping yourself small and invisible. But it doesn’t have to be that way. This is your invitation to soul-level simplicity. With her characteristic humor and compassion, Melissa confronts the fears that used to leave her feeling unworthy and alone, and reveals how practices like dropping the mask, abandoning the experts, and understanding her real assignment set her free. As she unearths the truth, she hands us all a permission slip to rewrite the rules, to tell the truth, and to get comfortable with our whole selves—brave and scared, messy and real, gloriously imperfect and absolutely enough. 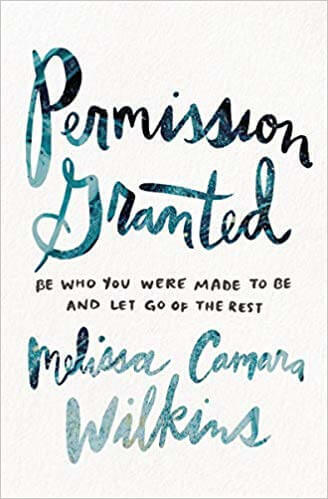 With refreshing honesty and grounded insight, Permission Granted invites you to make life simpler by letting go of who you think you’re supposed to be, and becoming who you really are.